Ballard: We ran Dean's fingerprints through AFIS. Ballard: Got over a dozen possible hits. Sam: Possible hits. Which makes them worthless. Ballard: But it makes you wonder. What are we gonna find when we run your prints? Sam: Yeah, well. You be sure to let me know, all right. A person's fingerprints are commonly used by law enforcement to identify and capture suspects. A lack of fingerprints along with other forensic evidence is occasionally a clue for Sam and Dean that they are dealing with something unnatural. Both of the Winchesters have been fingerprinted after being arrested, with their fingerprints, at the time, linking Dean to over a dozen possible crimes. As a result, the Winchesters often make sure to wipe away their fingerprints at crime scenes to avoid being identified as having been there. A Nephilim's fingerprints are different than that of a regular human's, with the papillary ridges being vertical lines rather than a whorl. A ghoul can leave behind traceable fingerprints that can be matched up, at least while they are using one consistent form. After witnessing Roger Miller's murder, Dean orders Sam to remove his fingerprints to make sure that no one knows that they were ever there. While investigating the room of a shtriga victim, Bethany, Sam and Dean notice a strange handprint on the rotted wood of a windowsill. After being arrested in Baltimore on suspicion of murder, Dean's fingerprints are noted to be all over the crime scene. 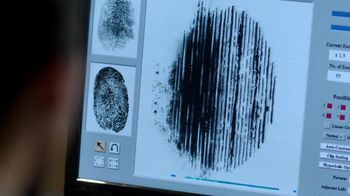 Additionally, when the police run his fingerprints through AFIS, they come back with over a dozen possible hits connecting him to other crime scenes, as stated by Detective Diana Ballard to Sam. Sam points out that they are only possible hits which makes them worthless. Ballard wonders what they will get back if they run Sam's fingerprints and Sam just tells her to let him know. After discovering footage of "Sam" murdering Steve Wandell, Dean orders him to wipe away his fingerprints to keep from being identified. While meeting with Rufus Turner, Dean asks if he ran Bela Talbot's fingerprints. Rufus admits that he tried, but had failed as Bela long ago burned her fingerprints off. Instead, Rufus was able to identify Bela by taking a picture of her ear from his security camera and running that instead. After being confronted by the Winchesters in their guise as FBI agents, a nervous Cliff asks them if they are there to talk to him about the meth lab that got "fireballed." Cliff claims that it wasn't him but his brother who has the same fingerprints. While telling the Winchesters and Castiel about the "Black Hole" robber, Detective Glass states that he is a real pro who leaves no fingerprints behind. After Prometheus is killed by a grizzly bear, an unsuccessful attempt is made to identify him with his fingerprints. After Dean suggests that he could have a shady past, Sam points out that guys with shady pasts usually have their fingerprints on file. While investigating the murders committed by Rick Willis while under the influence of a khan worm, the Winchesters learn from the local sheriff that Willis' fingerprints were all over the crime scene and his dog tags were found right by the body. After calling in Sam and Dean to help with a killer in a bunny mask, Sheriff Donna Hanscum tells them that they ran the man's fingerprints in an attempt to identify him but they are not in the system. After running Jack Kline's fingerprints in an attempt to identify him, Sheriff Christine Barker is shocked to see how different they look compared to a regular human's. After meeting up with Dean outside of the local funeral home, Sgt. Joe Phillips tells Dean that along with the bank teller identifying Dave Mather as the culprit by voice, his fingerprints from the bank robbery matched the fingerprints found at the scene of his nephew's murder. While talking about the murders of his family with Castiel, Nick tells him that there was no evidence at all including no fingerprints and no DNA and that while there was a witness, he later recanted his testimony. Nick is left wondering how something like that happens and enraged that his family never got justice for their murders. After pulling over an uncooperative Nick in a stolen van, Sheriff Donna Hanscum uses a mobile fingerprint scanner on him. Donna is shocked when Nick's fingerprints come back showing that he is a serial killer named Nick from Delaware who is wanted for multiple murders. Nick takes advantage of Donna's distraction to pick the lock on his handcuffs and take Donna out using a stun gun. This page was last edited on 1 February 2019, at 04:49.